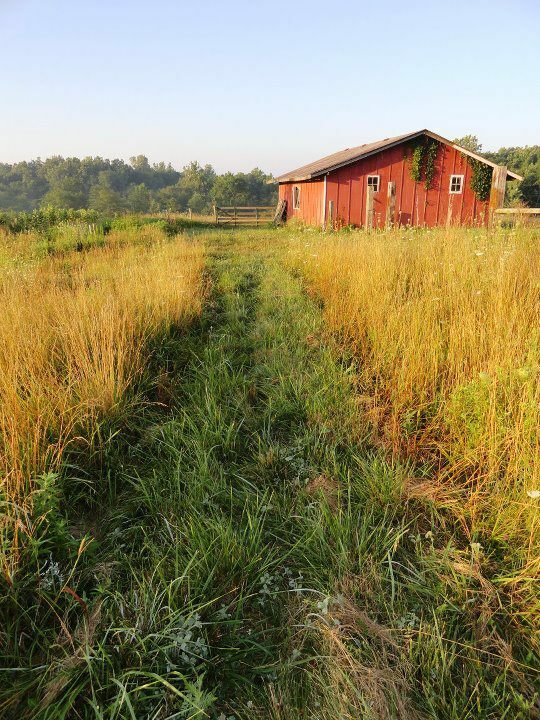 My muse sits in the cloverfield behind our house, exactly at the center, the heart, of our farm. Her weathered, pock-marked skin covers the thick bones of her wide hips. Beneath her there is shelter from the sun and the snow, the wind and the rain. She watches over us, her dark eyes following the comings and goings of Winter Farm through the seasons. She does not speak, but she tells stories in countless portraits I make of her solid, ruddy frame. Here she is, wrapped in a blanket of snow the first winter we met. And here she stands with her back turned to gather the warm sun on a cold September morning. And this one, where I caught her dripping with dew in the morning mist. I am shameless about my obsession with her and I can not stop sharing her pictures. She pulls a story from me every time I see her and though it ought to be my children in their innocence or my husband in his devotion, it is she who makes me want to write. She is my muse. And for the inspiration she has awakened in me, I am determined to care for her and repair where the years have bruised and wounded her tired face. She will stand bright and clean once again. She will be made young by my hands and I will rescue her from ruin. 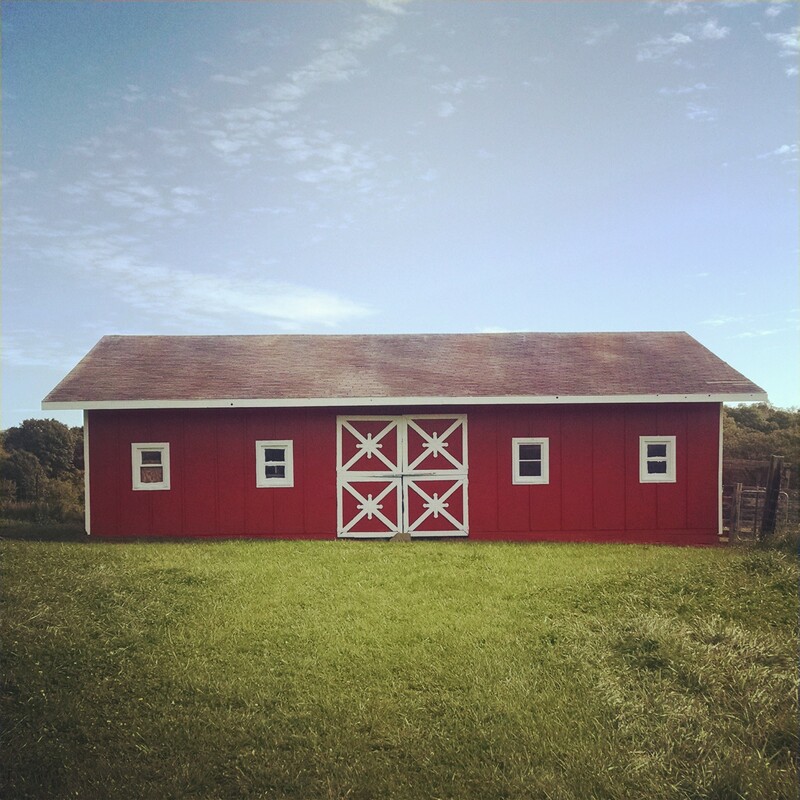 That’s right, our little barn is my muse and for those of you who know me, you are regularly subjected to picture after picture of its squat, red frame. When my husband and I first looked at this property in our search for a home, we were happy with the house, but we were delighted by the barn. 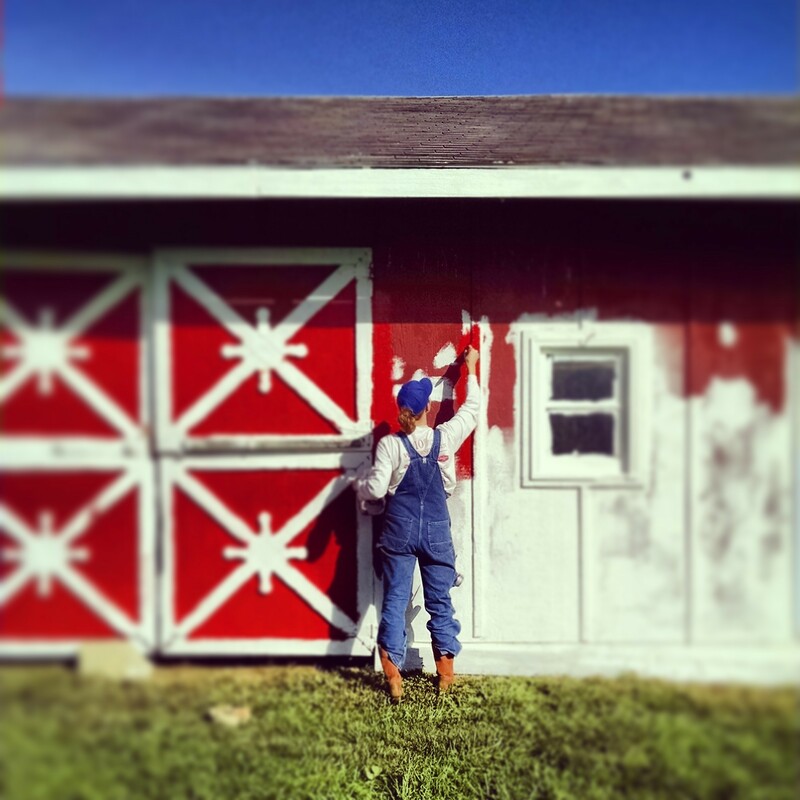 Its red doors with white trim symbolized for us that this was not just an acreage, this was a farm. And if we had a farm, we were farmers. We really liked the idea of being farmers. This was one of the first pictures we took in front of the barn. 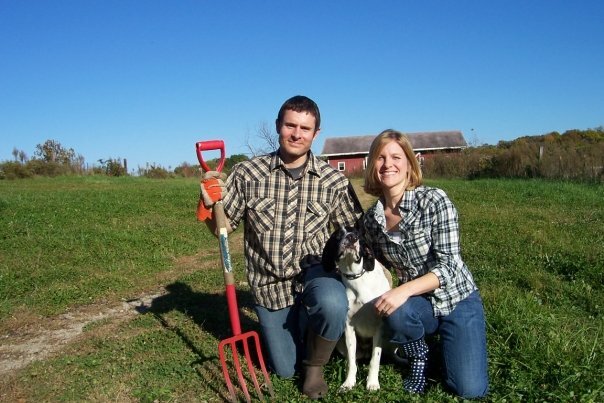 Yes, that’s a pitchfork–very American Gothic (and original) of us, I know. Note the plaid shirts and rubber boots. We were officially farmers now, time to dress the part! We had been married for 4 years at that point and had just returned from an extended stay overseas. We had no children and our dog, Gus, had only been with us for a week or so. We were so excited to own our dream home, so proud of the land and the house and especially of the faded little barn choked by weeds. 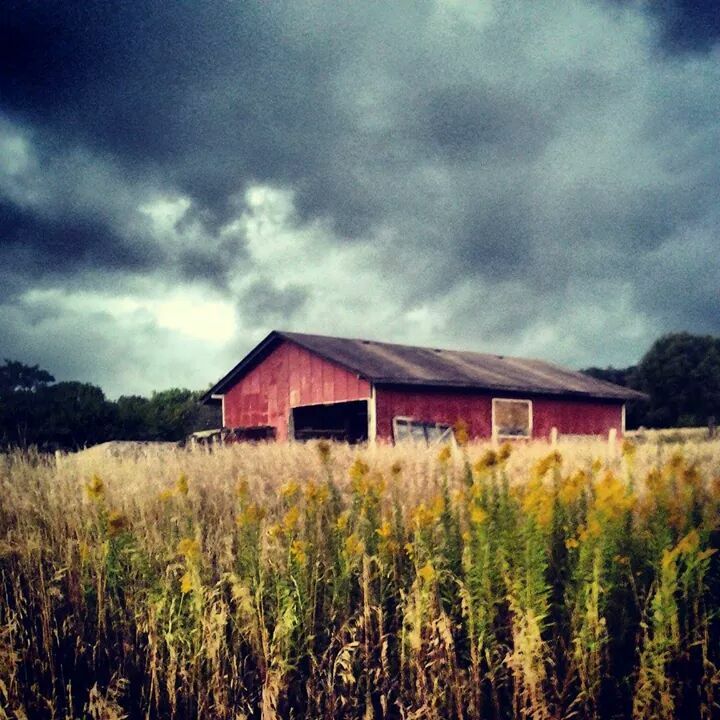 We saw in that barn all our dreams of owning chickens and growing our own food and raising children. We still love that barn and though we’ve made lots of improvements on our land and home since moving in five years ago, until now we had yet to help it regain its original charm. 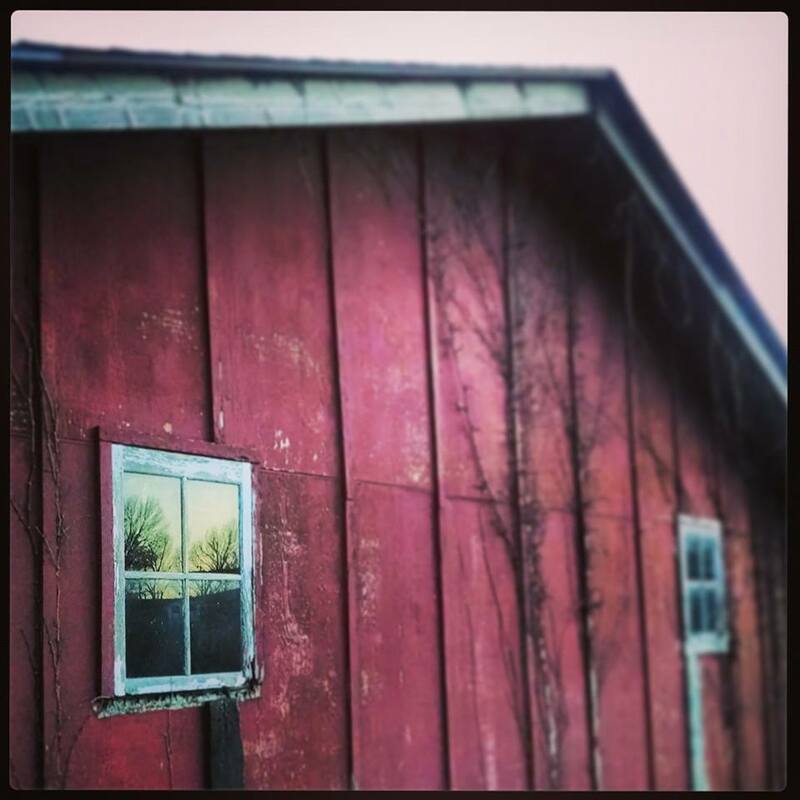 The little paint that remained on the barn was faded to a dull orange and one of its windows was missing. The previous owner’s horses had chewed up or torn off batten boards and where there had once been bright, white paint, there was now only the weathered gray of bare wood. We were sad to see the heart of our farm falling apart. In its state of severe disrepair, we thought we would have to completely replace the siding. But due to a lack of funds, we decided to just paint it instead. 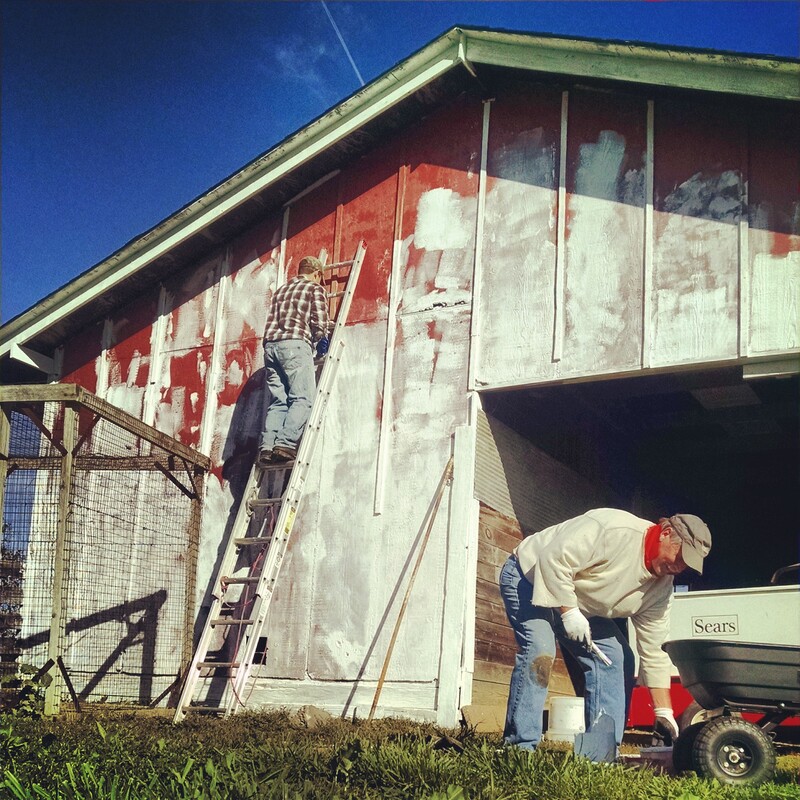 Our reasoning was that a fresh coat of paint would protect the barn’s structure from further deterioration until we could afford to fix it properly. Well, let me tell you, a couple coats of paint later and a few new batten boards and our barn looks like a new building! Here is a before picture of the north side of the barn with its crumbling windowsills, vines clawing their way up the walls, and paint peeling from its boards. Take a look at that same side now. It’s such an improvement. (Don’t mind that paint on the window panes. We ran out of daylight before we finished scraping them clean.) 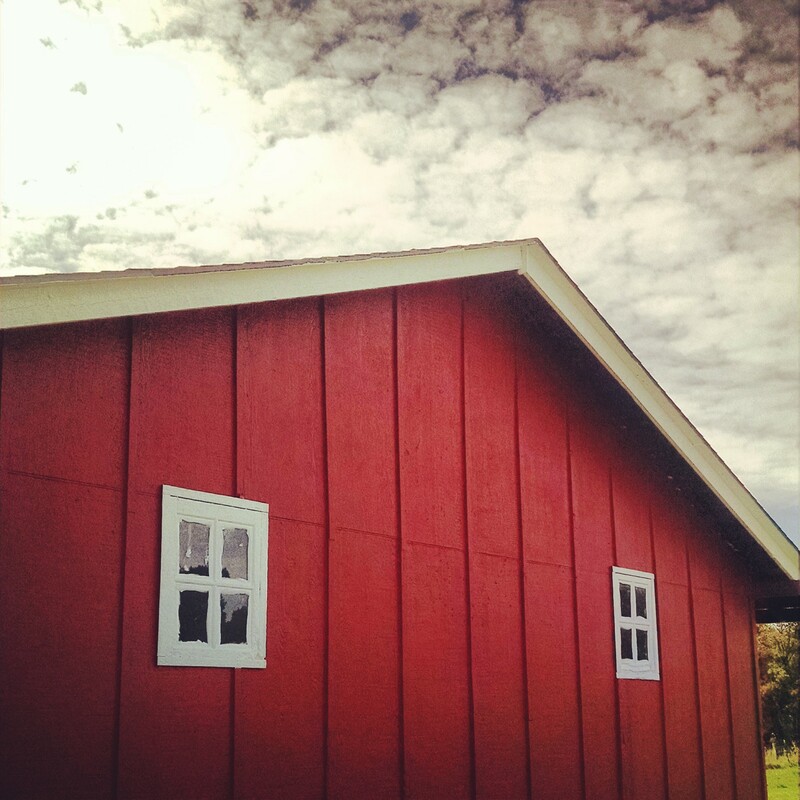 The color we settled on is called “Moroccan Red” and I thought, “What a fun international touch for our little Missouri farm!” But no, put almost any shade of red on a barn and do you know what happens? 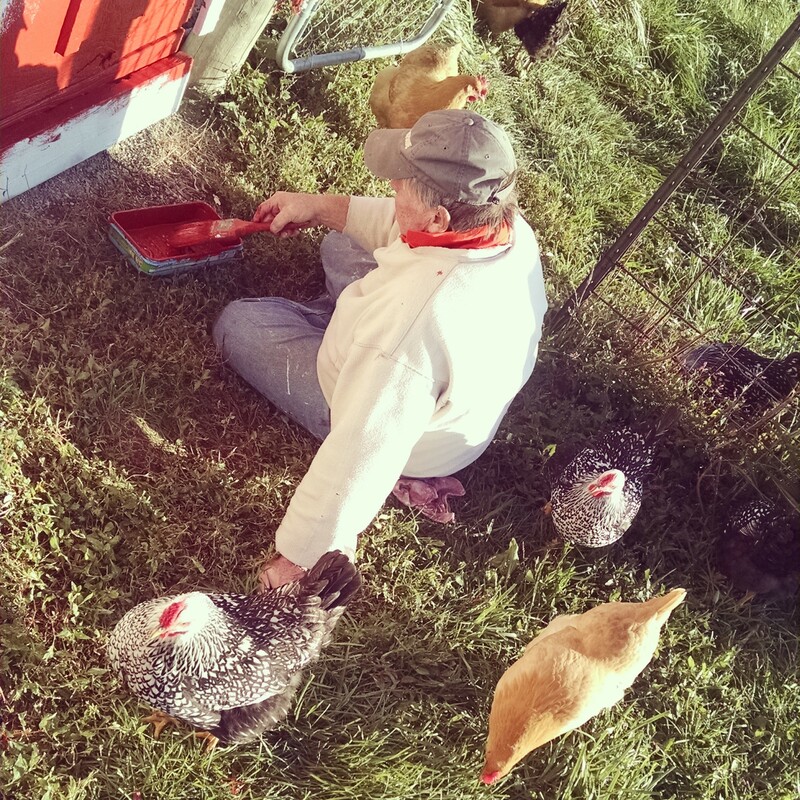 It looks like plain old Midwestern “Barn Red”. And I’m OK with that. Doesn’t it look great?! Finally, before wrapping up this session of barn adoration, I want to thank my husband’s parents for traveling more than 4 hours each way for 2 consecutive weekends to help us. 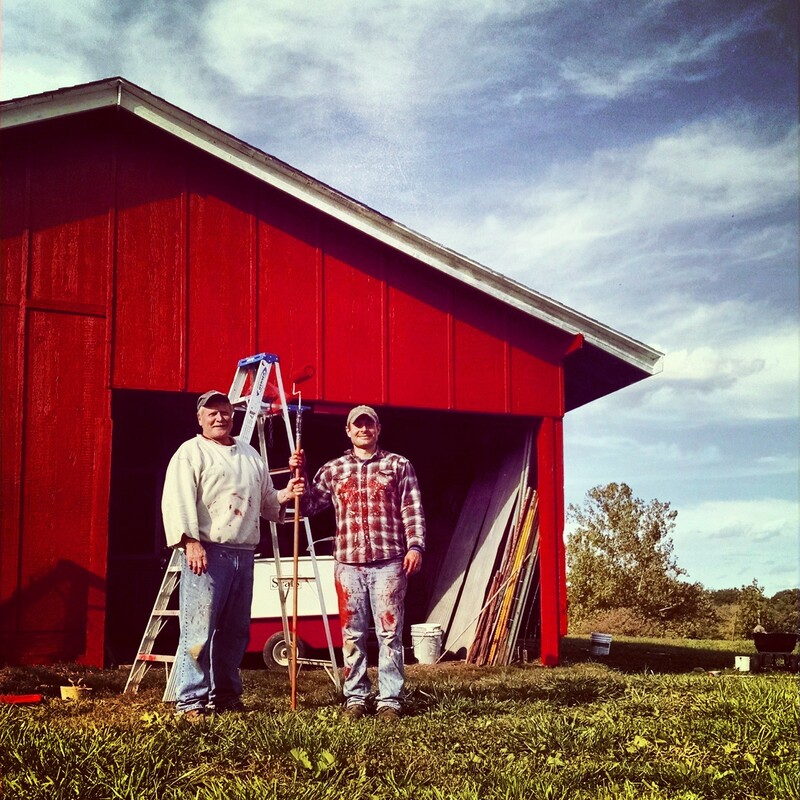 My father-in-law toiled away making repairs and painting while my mother-in-law handled the kids inside, allowing me to help out at the barn. They were so generous to give up their time to help us and we can’t thank them enough (though we did try by loading them down with home-canned goods and fresh pears from Winter Farm). Thank goodness for good family! And now I’m off to design a gift for my muse, a barn quilt! In the meantime, enjoy a few more pictures of our barn restoration project. Proud of a job well-done. The early morning paint crew busy priming and patching. 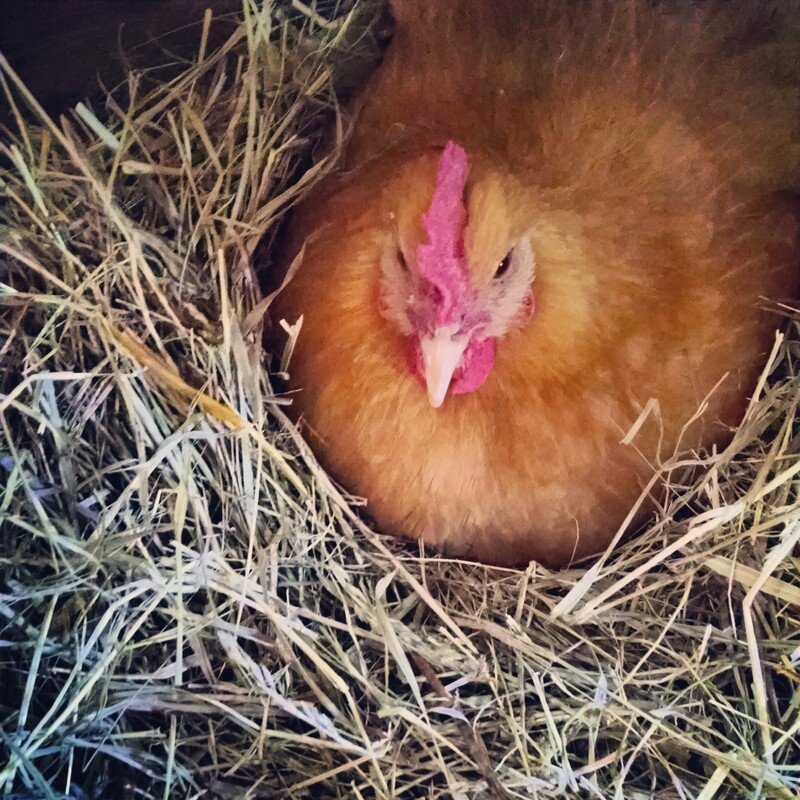 The chickens were a bit annoyed with all the noise in their barn. Farm fashion’s finest, yours truly. My father-in-law and his new lady friends. Ha, Chris! Thank you but I think I’ll stick with this format for now. No deadlines and free to ramble. 🙂 Glad you enjoyed it. Oh! Annie I miss them too…Rose is such a sweetheart and so good. Frankie is such a happy baby and so easy to take care of. I took of selfie of Rose and I and it turned out pretty cute, I will send you a copy!!! Enjoy those precious little ones, they grow so fast!!!! Take care…. Thanks, Carol. So glad you enjoyed your time with the kids. Rose was quite sad to see you go. Annie, I love the barn..er uh, your muse. I also love your musings about the barn and farm life. 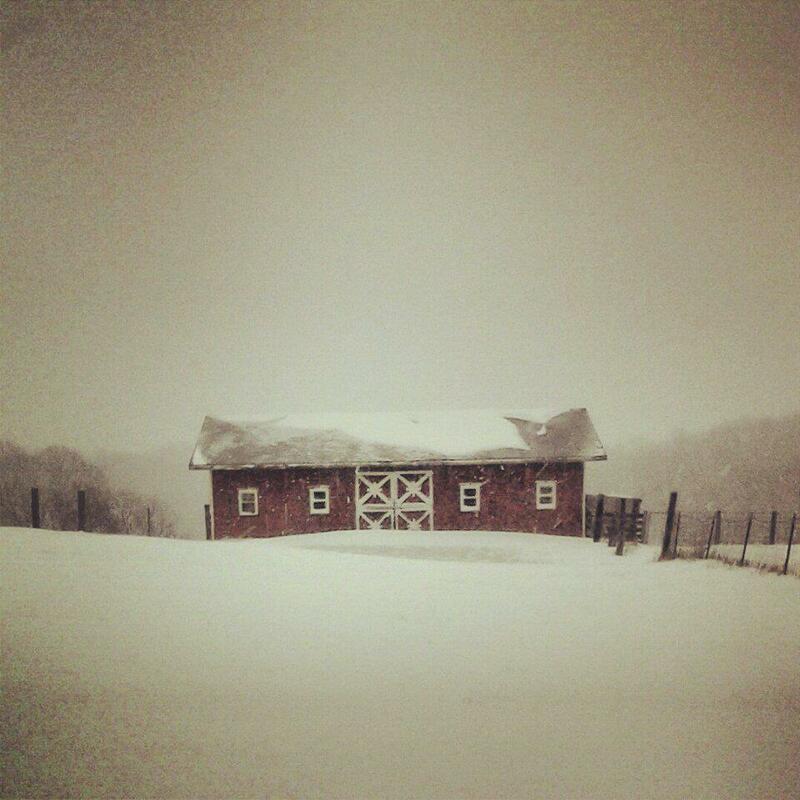 Winter Farm Writes is a new treat and I am savoring it! Thanks, Pat! It’s a new treat for me to enjoy writing again. Glad you’re enjoying it. Thanks, dad. So glad we got it done.